Find out how you can apply a classic marketing lesson to your own content marketing, as well as your product and service creation. 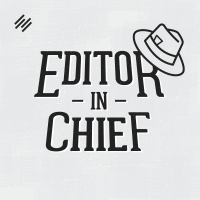 Stefanie Flaxman: Hello there, Editors-in-Chief. I am Stefanie Flaxman, and you are listening to Editor-in-Chief, the weekly audio broadcast that delivers the art of writing, updated for marketing in the digital age to help you become the Editor-in-Chief of your own digital business. Today’s episode is called How to Position Your Content for Maximum Impact. The macro theme of the episode is good old-fashioned marketing, and the micro theme is using what you already have to create great content. I’m going to tell you how the idea for this episode came about, and then after I tell the story, I’m going to go into different examples of how you can apply this lesson to your own content marketing as well as your own product and service creation. Something happened to me the other day. Shocker, I know — I’m talking about me. You never would have guessed that. But I swear I’m only talking about myself when there’s a lesson that could benefit you. There’s a lot more I could get into if I wasn’t just focused on the business lessons, but I’m not going to do that. I colored my hair recently, and it didn’t come out the way that I expected. And I know all my male listeners are going, “Oh, great,” but please stay with me. I was super excited when this whole business and marketing lesson came about from this. I colored my hair, and it didn’t come out the way that I wanted it to. I won’t get into that whole story, but the color is a lot brassier — which is more orangey, caramelly, bronzey golden — than I wanted it to be. I didn’t want to go back to the salon to get it fixed even though that was definitely an option. I know it seems like I’m always at the dentist or at a hotel where my sink isn’t working or getting my hair done, but I’m actually working most of the time. I really just didn’t want to take the time to go back to the salon. I already, at home, had this shampoo, just a normal shampoo, that is supposed to tone out the brassiness of your hair. I have this product at home, but I decided, “Maybe I could look to see if the same manufacturer, the same brand, makes a more intense product.” Instead of just a normal shampoo, it’d be a special treatment that I could do at home, and it would help remove the brassy color. I looked online, and sure enough, there was a super-duper treatment by the same manufacturer that promised to get the brassiness out of your hair. It was just a super intense shampoo. I think maybe even ‘intensive’ is in the title. I thought, “Great.” And also, there are pictures on the box where it had a picture of what brassy hair looks like and what it will look like afterwards. They’re getting to the heart of what I was looking for. I’m seeing the complete benefits of the result. I see the transformation that would happen to me if I bought their product, which is different from just their normal shampoo. As far as I can remember, there was nothing too dramatic about buying the shampoo. It’s just like, “This helps you remove brassiness from your hair color.” I’m ready to go out to the store, but like I said, I’m actually working most of the time, so I really didn’t even want to go out to the store to buy this product, which is fairly inexpensive. That really wasn’t an issue. But I just didn’t want to take the time. So what I thought I’d do was, I already had their normal brassiness remover shampoo at home. And online, with the super intensive treatment, it listed all the ingredients. I just thought, “Before I go out to the store, I’m going to compare the ingredients and see …” They’re chemicals that I don’t know the name of, or whatever they are. I just wanted to see what the difference was, if there was more of one certain ingredient, if I could tell that there was something that was really going to be more effective in toning down the brassiness in the super treatment. I’m online with their sales pages open where it says ‘ingredients,’ and all the ingredients are there listed very clearly. I have this bottle of shampoo at home. I’m holding it up, and I compared each ingredient, in order, between what I had on the bottle of their regular brassiness remover shampoo and what I was looking at online, which was their super-duper brassiness remover treatment. I went through item by item, and they were exactly the same. The ingredients in my normal brassiness remover shampoo completely matched their super-intensive treatment. Obviously, I did not go out to buy the super-intensive treatment product because it was exactly what I had at home. I thought, “Wow, is this amazing positioning or what?” They took the exact same product, and they put it in a different package. And if I hadn’t done that, I would have gone out and bought the exact same thing. Maybe I would spend $10. That’s not the issue. The issue was, how many times do we buy the exact same thing because we don’t have access to this information, or we don’t compare? Maybe there would have been a placebo effect in my mind. If I hadn’t done that, maybe I would have gone out and bought the super product and then felt, “Wow, this really worked a lot better,” and I would have never compared the ingredients. I don’t know. I was really ready to do that, and I’m glad I didn’t. Think about of the things that we buy for whatever trigger reasons that connect with us more emotionally, but they aren’t any different. Think about products at the grocery store that are more generic grocery store brands, or the brand names that we like, like Kraft or Oscar Mayer. I’m just thinking of general supermarket store items. That supermarket might have their own brand of the exact same thing, but we want the Kraft version, or we want the Oscar Mayer version. Or prescription drugs — generic prescription drugs don’t have any label or brand name, but their ingredients match what the brand name of that drug has, and sometimes people prefer that and will pay more for it. I thought this was really fascinating, and you could think of it as deceptive, but I really wasn’t like, “Wow, they were trying to fool me.” I was really thinking of it as, they took an existing product and packaged it differently. Because of that, they’re going to get more sales of the same exact thing because their super intensive treatment appeals to those people who think that they really need something more intense to get the brassiness out of their hair, when it’s actually just the same formula as their standard brassiness removal shampoo. The main idea here is taking what you already have and making it more useful for your audience. Sometimes a simple way of doing that is just repackaging it to make it more desirable. How can you do this with your content? A lot of people struggle with, what’s the next thing after you write a blog post series about your topic of expertise? What’s the next thing? Once you’ve created what you would consider your cornerstone content, where do you go from here? Sometimes you run out of ideas. Hopefully, there will be new ideas, and you really haven’t run out. But one thing that you can do is to think about something that you’ve done somewhere else and how you can turn it into a different type of content. You might have done something offline years ago that really clearly communicates your expertise. You could have written an offline research report or a whitepaper or done a series of in-depth case studies, all of this offline. How can you bring that online now, where you’ve already done the work but you’re exposing it to a new audience in a new way if you put it online? Also, what’s in your head that you think that you take for granted that you haven’t expressed? That’s a very pure way of re-purposing something, of just taking something from your head that you think about a lot and you think everyone else knows. How can you present that in a way that shows, obviously, that it’s not in your head, that you really create a presentation for your audience with that information? You take it out of your brain and make it accessible to your audience and to your readers. I mentioned writing a blog post series. If you take a blog post series and turn it into an ebook, that’s a completely different experience for your audience. Reading blog post after blog post is fine. It’s something that people do while they’re doing research, learning about a new topic. But if you take the best blog posts that you have and you put them into one package for your audience, that’s valuable. That could something that you give away when they sign up for your email list. That could just be something that you give away on your site: “Get to know me better by reading all these things in one place.” Having that one document with all of your best work in one place really is a completely different experience than reading blog post after blog post on a website. Again, you haven’t done anything differently. You’re just packaging it differently. Again, you could take that ebook and turn it into an online course. It’s the same information, but it’s how you present it. Instead of saying, “Here are articles that I wrote. It’s an ebook,” you turn it into a course where your student can follow along with you in a very precise way. You’re really not adding a whole lot of new information, but you’re packaging it in a way where you’re teaching one-on-one with someone through an online course. That online course is also different if you turn it into a webinar. It could be a very intense webinar where you go through all your course material from your online class that came from your ebook. Again, you’re not reinventing the wheel. You don’t have a whole lot of new ideas to generate. You’re just taking what you already have and putting it in front of people in a way where it makes it really easy to consume. It’s how they want to consume it. You can find out from your audience by asking them a question, taking a survey. We love checking in with our audiences to find out what exactly they need, and then you can fill that need with your content. I love that idea. It’s something that I’ve personally done, and I was really excited to think about it more through my hair product experience. Also, you can use this idea, as I mentioned, for a product that you’re creating. Again, about going into your head, you can repackage an idea in your head simply by trying it. A lot of people get stuck in what we call ‘analysis paralysis’ because they’re trying to make everything perfect before they launch their product. You really just have to put it out there. You have to put it in some form just to start to see if it’s going to work for people. That’s why we love the minimum viable product idea, where you’re not getting so tripped up on the details. You take that idea out of your head, and you package it in a way where you have a starting place. And you go from there to see if people like it and if people are receptive to it before you go on to a whole production mode where you’ve made 10,000 and then nobody wants it. Starting small and testing is a very smart way to go about feeling out if the idea in your head actually is going to work, but you have to get it out of your head in some way first. I’ll put links in the show notes over on EditorinChief.FM to more resources about creating minimal viable products. Another thing is that you can position your product in a different way by adding a bonus. I’m also going to link to this great article by Sean D’Souza that was recently on Copyblogger about his ‘yes-yes’ pricing system. It’s all about what a bonus can do to get your prospect to say ‘yes’ to your offer quicker. It’s a super-informative article with a really simple and easy plan to follow if you want to adapt it to your own work. You don’t have to reinvent the wheel. There’s a lot that you’ve probably already done in a different way that could add a lot of value and expand your digital media presence if you just carefully survey your body of work. 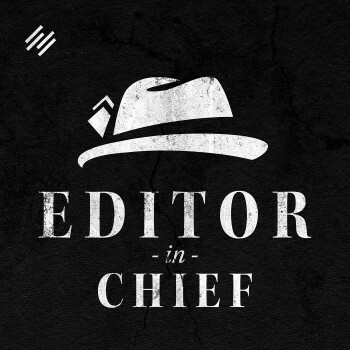 Become that Editor-in-Chief. Survey your body of work, and see what you can do a little bit differently to reach more people. Editor-in-Chief is brought to you by the Rainmaker Platform, which is the complete website solution for building your online marketing and sales platform. Go to Rainmaker.FM/Platform to find out more about the Rainmaker Platform, which is just a really helpful way to organize all the content you produce online and it does so much more. Editor-in-Chief is literally brought to you by it, because it has such amazing podcast functionalities that make it really easy for you to podcast and reach a new audience through audio that way, plus much, much more. Once again, Rainmaker.FM/Platform is where you want to go to start your 14-day free trial of the platform. All right, I hope that you are jotting down ideas and thinking of ideas of how you can survey your content and re-position it for maximum effectiveness. It’s a really fun thing to do. It’s really energizing. I’ve gotten so pumped up in the past when I realized, “Hey, I did that thing, but nobody knows about it. I can present it this way,” and it gives new life to a lot of work that you’ve done. That is something to think about. You could also think about hopping over to iTunes and giving Editor-in-Chief a rating or a review over there. I would really appreciate it, if you like Editor-in-Chief, if you’d just click a quick rating, and let me know over there. Thank you in advance if you do that. That is all for today. I am Stefanie Flaxman. Thank you for listening to Editor-in-Chief. Now, go become one.